Seeing portraits that are done really well impress us especially if it shows a perfect replica of the person. There are even a variety of ways to do it. Some use pencils or paint while others create a different twist by making digital portraits giving them a unique style. We are referring to those cartoon versions for portraits, doodles and many others. Today, we will show you another unique way of creating portraits. You will surely be amazed how this artist meticulously worked on every detail of his projects which you are about to see. Prepare to set your eyes on the awe-inspiring work of Charis Tsevis. We would guess that you have taken a glimpse of his mosaic portraits since it has gained popularity around the globe. Tsevis is a graphic designer from Athens, Greece who has served global clients through his illustrations and portraits. These were used for campaigns, promotions, advertising, magazines and many others. 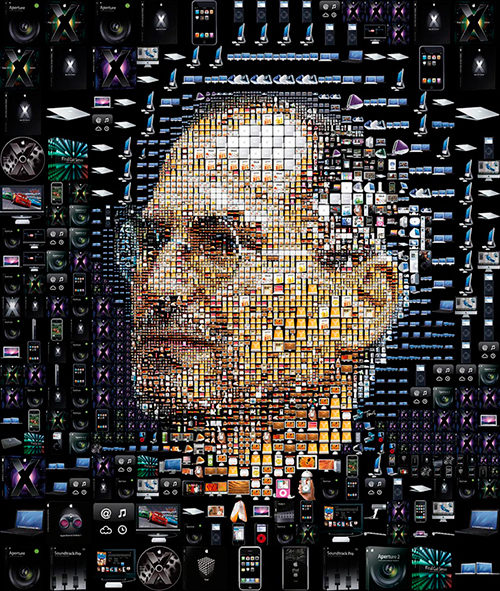 His photo mosaics are large portraits comprised of thousands of macro images which are representations of that person like how he used Apple products for Steve Jobs mosaic. Take a look at his mosaic photos below and you will surely be evoked with admiration! 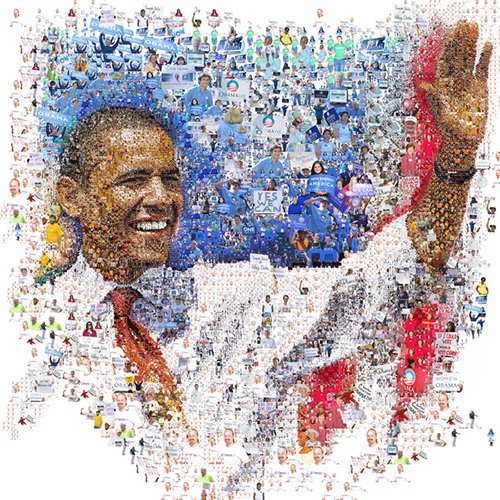 As an avid supporter of Obama, Tsevis made a portrait of Obama using different images of his supporters. 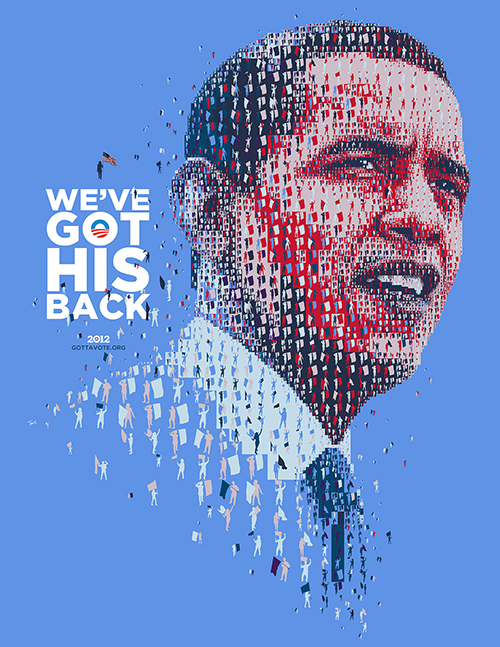 Tsevis showed his support to Barack Obama in 2012 through this art work. This is comprised of thousands of people who were carrying red, white and blue flags. This one is for Apple Inc. and Steve Jobs for some related articles in Fortune magazine. 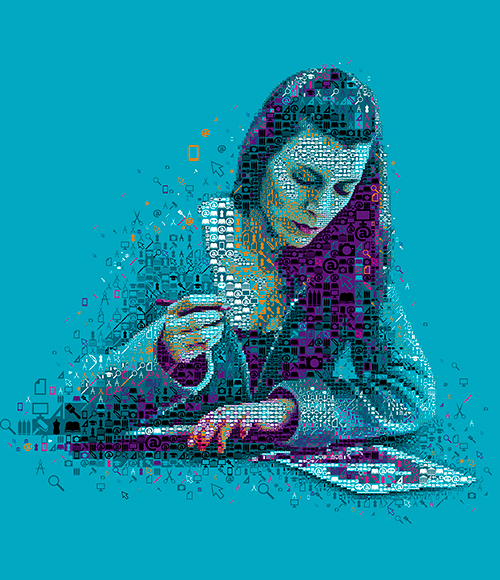 Aside from this portrait, a DNA composed of Apple products was also shown in the article. 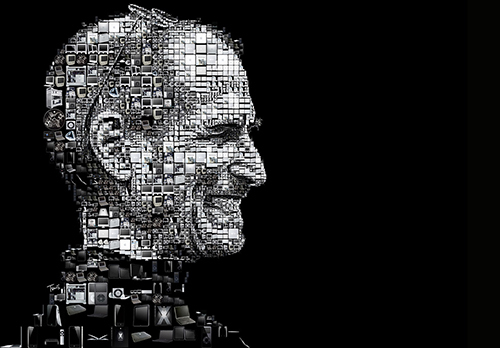 Mosaic portrait of Steve Jobs made out of Apple products for a feature about him in the Los Angeles Times. 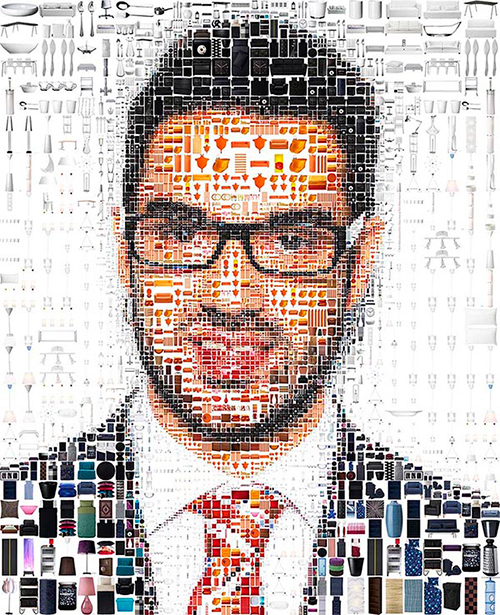 One of the five mosaic portraits made out of thousands of IKEA products for the Swedish Summer and Autumn campaign of IKEA. This shows the richness of the African patterns heritage and the modern football (soccer) subculture. 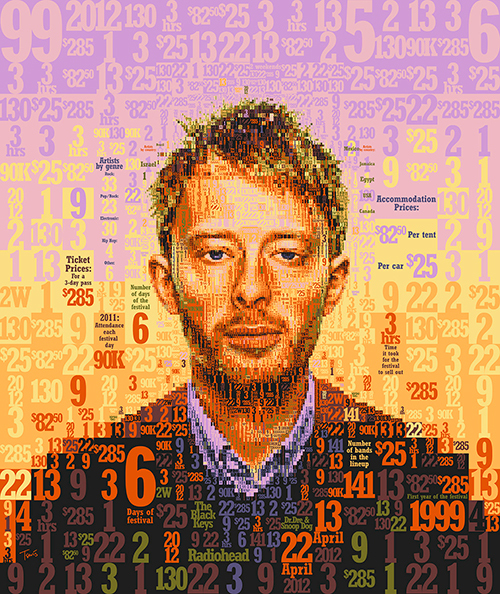 Different numbers were used to create this mosaic of Radiohead’s Thom Yorke made out of data related to the Coachella Valley Music and Arts Festival in Indio, California. This is made for the cover of OC Weekly newspaper. 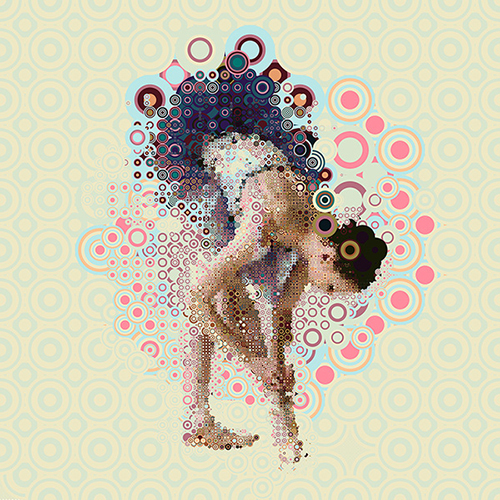 One of his experimental mosaic illustrations featuring music and dance as he was working on an advertising project for Bradesco Prime. 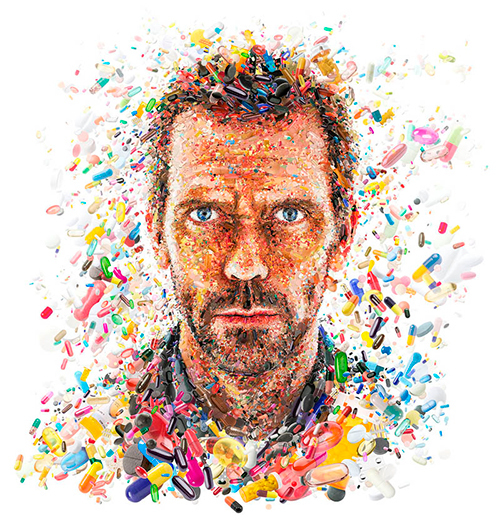 A mosaic portrait of Hugh Laurie (Dr.House) made out of pills for the cover of TV GUIDE Magazine (USA). This one is for a values campaign of AKTO College. It shows that AKTO College is about people- people who are formed through ideas, tools, techniques and experiences. 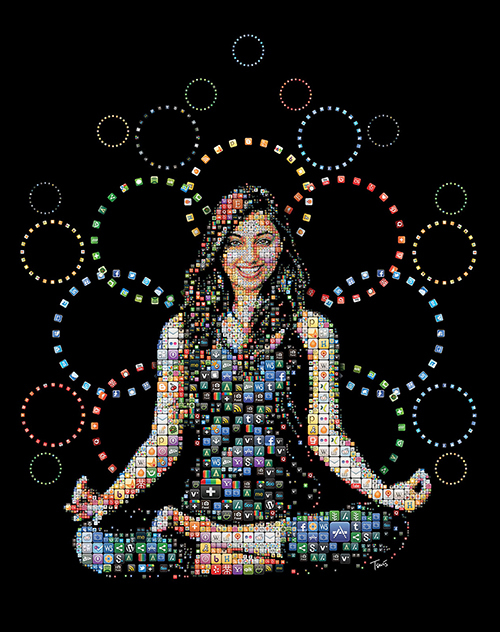 Mosaic portrait of Social Media guru and author of the book The Zen of Social Media marketing Shama Kabani for Exhibitor magazine. 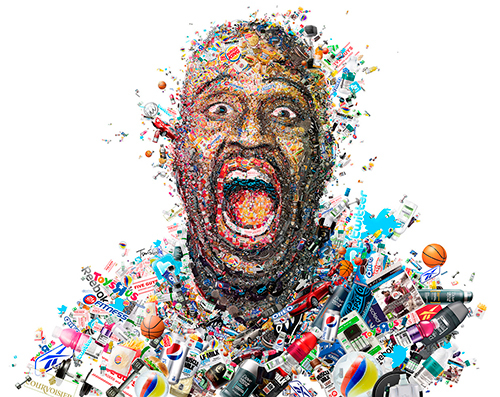 This portrait of Shaquille O’Neal was done for Fast Company’s Most Creative People 2012 made out of the brands and the products he is promoting. 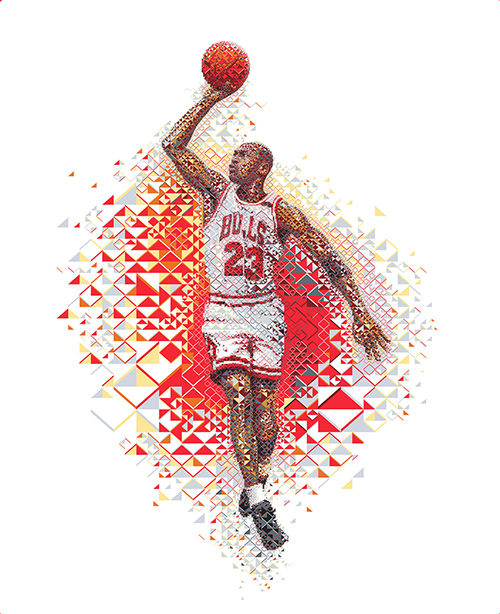 Part of a campaign for Gatorade showing Michael Jordan. 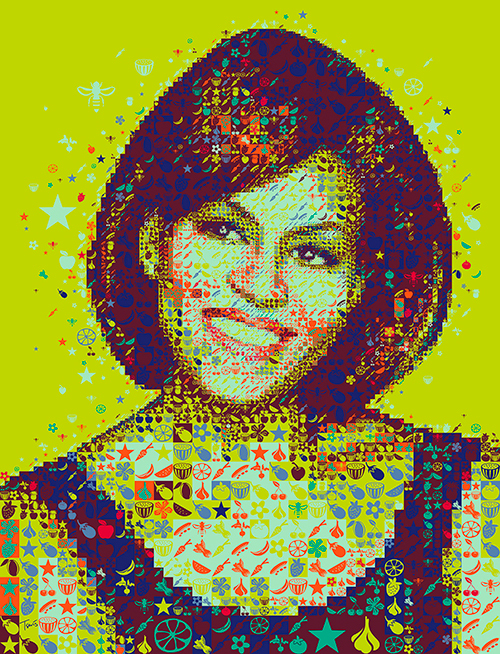 A colorful portrait made for the First Lady’s Q&A in Hemispheres magazine published by United Airlines. It is made out of vegetables, fruits, bees and stars. Made for an article that tackles on how much money a star can make after he is gone. 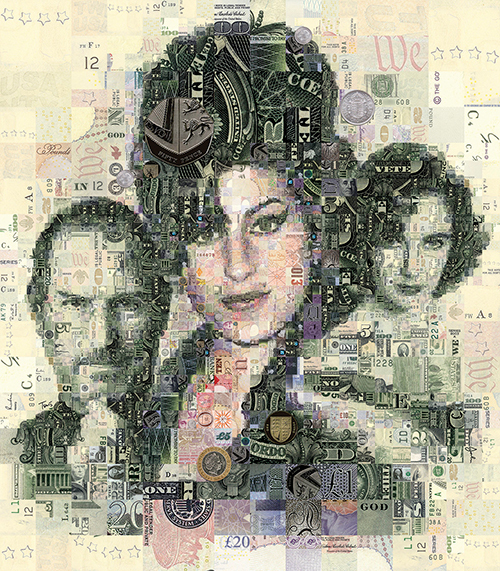 The Evening Standard Magazine asked for portraits of the 3 biggest losses of 2011, Steve Jobs, Amy Winehouse and Liz Taylor. 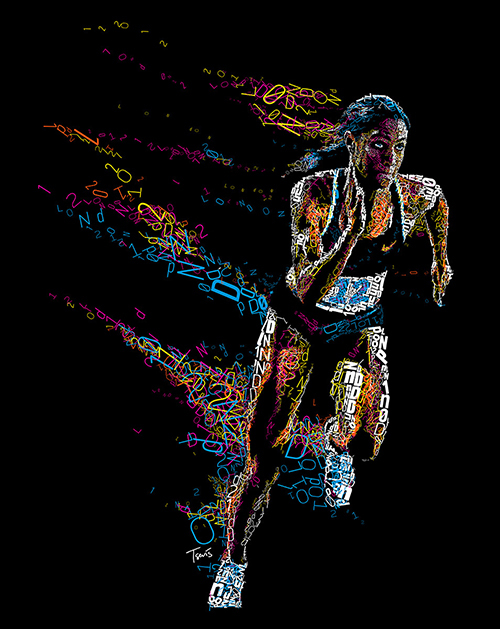 Cuban born Italian athlete Libania Grenot was used by Tsevis to tell his own version of the Chariots of Fire movie with Grenot’s modern story about gold, honor and discrimination. You could really see that the works of Charis Tsevis were not merely mosaics of just anything because there is a story created from every element that made up his portraits. No wonder he had worked for big companies in different industries because he really has a stirring and splendid work. Every element is intelligently placed to come up with a portrait that perfectly mimics the look of the persons he is creating. Get to see more of his mosaic portraits from his website.